GEP Academies are delighted to announce that following an OfSTED inspection in July 2018, that one of its schools, Kings College has been rated as a ‘good’ school. The Principal, senior leadership team, staff and pupils of the College have worked tirelessly since the December 2016 inspection in order to make rapid school improvement. Kings College joins the relatively small number of schools making rapid improvement from ‘inadequate’ to ‘good’. Principal Alastair McKenzie said ‘We are delighted that OfSTED have formally recognised the huge improvements at Kings. We have developed a highly focused academic atmosphere and students are thriving with the high expectations we have of them. It was particularly pleasing that so many of our students and parents sought out inspectors to talk about how much they enjoy their school and how proud they are of their own progress. As a member of GEP Academies and with our partnerships with the University of Surrey and the Royal Grammar School we will continue to go from strength to strength. 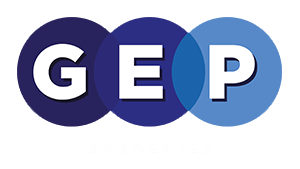 Chris Tweedale, CEO of GEP Academies said ‘to go from being rated ‘inadequate’ to ‘good’ by OfSTED in less than 18 months is a wonderful achievement and across the country only a tiny number of schools each year make this level of change. We are very proud that one of our GEP schools has made this rapid improvement. It is a reflection of the hard work from the whole team at Kings College and a good school is what the local community deserves’.